There are many things to consider regarding gate and automation. The primary thing has to be the look of the gate itself. We can manufacture gates in various materials, hard and soft timbers, or steel and stainless steel. While steel gates are great to automate, as they don’t catch any wind and are very stable, they don’t offer any privacy. Therefore choosing the correct material is an important choice. Softwood tanalised give great value for money where as hardwood can be expensive. 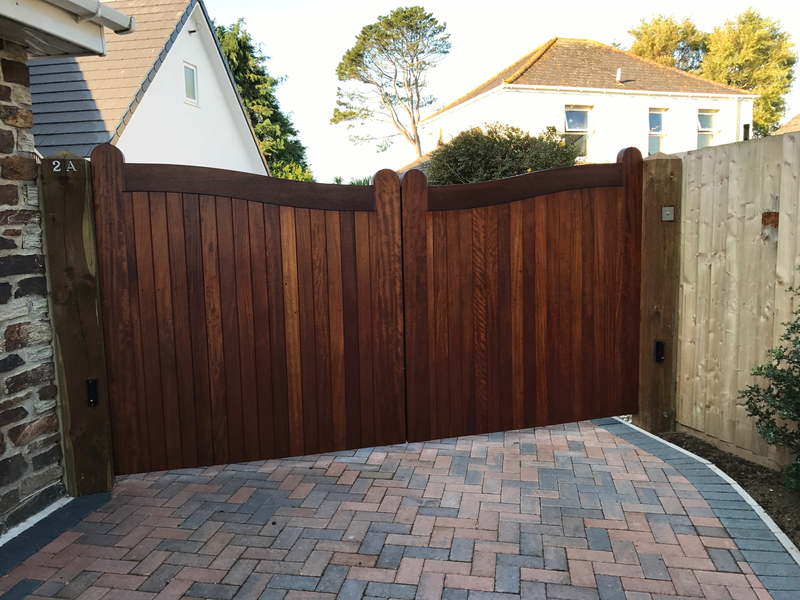 Hard wood gates such as iroko do look superior to softwood. As these gates are made to order we can accommodate your requirements completely. Do you require an intercom system so that you can identify visitors before ending the gate? With the current mobile phone technology we can have the gate call your mobile so you can speak to your visitors even when you aren’t home, you can even open the gate if required. We use BFT for our automation systems, we have done so for years, we find it extremely reliable. We are also their installer of choice for the south west region, we have a strong relationship.